This talk will be conducted in Cantonese with the objective of providing you an insight for your wealth, career, relationship, health, and gossips according to your Chinese Zodiac in the Year of Boar 2019. So, you will be ready to capture all the opportunities available in 2019 to advance your career, develop a relationship, etc. This talk will also discuss and demonstrate the difference between the two forecast methods of Bazi and Zodiac as well as some discussions of the misperception made by the general public. HKU SPACE was founded in May 1957 as the Department of Extra Mural Studies of the University of Hong Kong, and has been a leader in professional and continuing education in the territory for six decades. The School is committed to providing professional programmes and personal enrichment courses for Hong Kong people from every sector of the community. Over the years, we have also provided full-time sub-degree and degree programmes to meet the need of the higher education sector in Hong Kong. In total, HKU SPACE has brought knowledge and opportunities to over 2.62 million enrolled students. On the occasion of our 60th Anniversary this year, we are organising a wide range of celebratory events throughout the year among which will be our grand finale Gala Dinner. This will commemorate the significant milestones of the School and bring together alumni, students, staff and friends from 1957 until now. You are cordially invited to attend the Gala Dinner which will be held on 10 September 2017 (Sunday) at the Convention Hall of the Hong Kong Convention and Exhibition Centre. Mrs Carrie Lam Cheng Yuet-ngor, the Chief Executive-elect of Hong Kong has been invited as Guest of Honour. Dr the Honorable Sir Li Kwok Po, Pro-Chancellor of HKU has accepted our invitation as a special guest to celebrate the occasion with us. Kindly fill in the attached reply form and return to us on or before 14 July 2017. Should you need any further information, please feel free to contact the Office of Institutional Advancement at 2910 7680 or [email protected] for further information. The Gala Dinner will be held on 3 July 2015 (Friday) at 7:30pm in Loke Yew Hall at the University of Hong Kong. We will review the ALUMNI from its inception and celebrate its various achievements over the decade. Apart from the light-hearted speeches from alumni, we promise to provide you an enjoyable and entertaining evening. Programme will include dance and band performance, games, a video show and a lucky draw. As one of the most proactive and supportive Subject Alumni Groups (SAGs), we would like to invite all the members and alumni of the HKU SPACE Public Relations and Corporate Communication Alumni Chapter to attend this meaningful dinner. This is a golden opportunity for you to meet with alumni from different periods and professions, to expand your network and support the ALUMNI. This year, a table at good location is specially reserved for HKUSPACE PRCC & MCAA members. This is first-come-first served with limited seats only. Do join us now! For RSVP, please send an e-mail to [email protected] or call Mr. Edward CHOW (Tel: 6133 9767) on or before 25 September 2012. Looking forward to seeing you in the fest. We sincerely invite you to join our upcoming summer activity on 26th May, 2012 (Saturday). We do welcome new friends to join us. Let’s have fun together! For anyone interested, please reply to email: [email protected]. We look forward to seeing you there soon. HKU SPACE specially brings you an evening seminar on Creative Marketing to Boost Higher Sales. Festivals no longer provide valid reasons for shopping, marketers have to unleash their imagination by making the best use of technology, new shopping modes or anything innovative. In this era of creativity, enhancing shopping experience through new and interesting methods is crucial to a favourable market return. In this forum, Mr. Kevin Yeung will share various real cases to illustrate the relationship between innovative marketing and perfect shopping experience, including the application of social media, combining new technology, various shopping models, and revitalisation of traditional business models. HKUSPACE newsletter alumni news: more than 50 volunteers from PRCC & HKUSPACE took part in Unicef Charity Run 2011 last November, the second largest distance running event in HK. 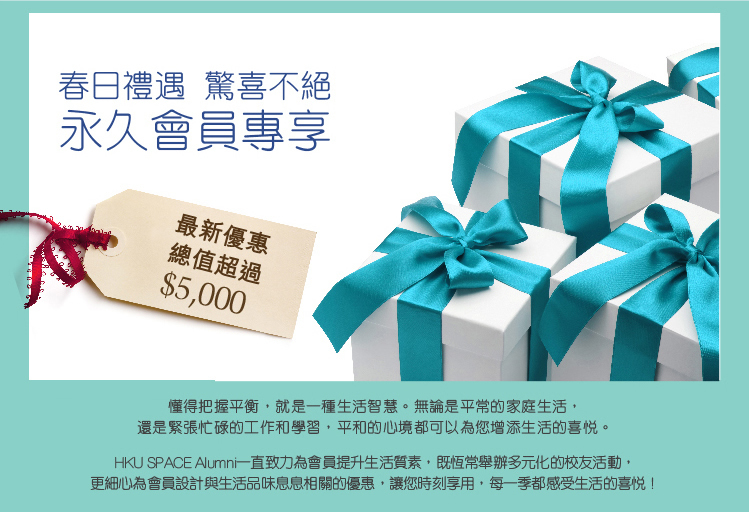 © 2019 HKU SPACE Public Relations and Corporation Communications Alumni Chapter.